BMW 4-series information: everything you need to know if you own it, are thinking of buying one or just want to find out more about the Coupe, Convertible and Gran Coupe. Click on the links below for all of CAR magazine’s news, reviews, videos, scoops and spy photos of the 4-series car range. The 4-series is the new name for the more sporting two-door 3-series - pick from the svelte coupe and cabrio, or the swooping-roofed-but-five-doored Gran Coupe. 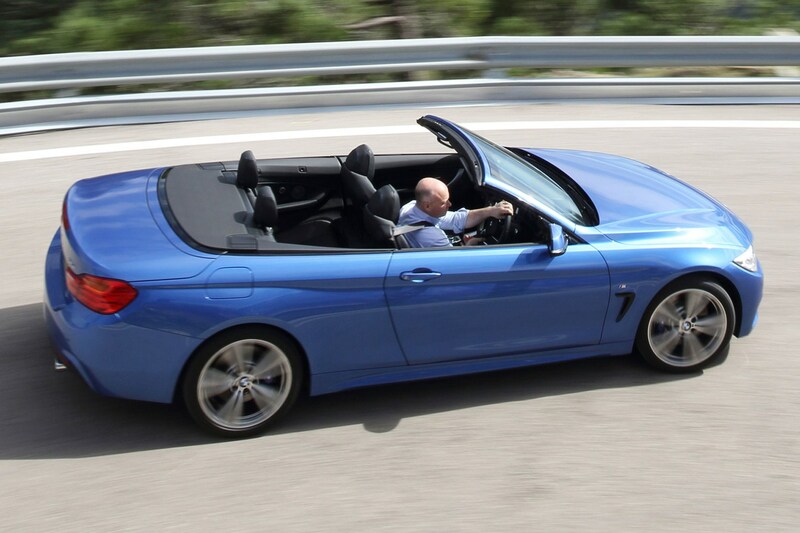 The 4-series is the new name for niche variants of the 3-series - so the Coupe and Convertible have gained a digit. Both are slick-looking things, with just enough Germanic sporting aggression to liven things up from the executive class saloon and Touring. The rear seats are quite usable, should your offspring or passengers be happy to nip in through the wide-opening front doors. The boot’s not a bad size, either. If you want space, take a look at the Gran Coupe with its liftback tailgate. The Convertible packs a metal folding roof which offers the best of both worlds, but does impinge on bootspace when stowed for sunbathing purposes. How do the Fours drive? The honest answer is, very like the 3-series. These cars are all but identical mechanically, with only modest changes in the set-ups. So they drive well, with class-leading sharpness to the steering, taut, sporting handling and a quality of fit and finish that is what you’d expect for the top-dollar prices you’re paying. Weak points include an interior that can’t hold a candle to a C-class’s and an M4 that has lost some of the magic of its M3 forebears. It’s still fast and fun, but the magic has gone from the turbocharged engines. £45k diesel 4x4 coupe is faster than a V8 M3. But better? Is the most sensible 4-series still an entertaining drive?